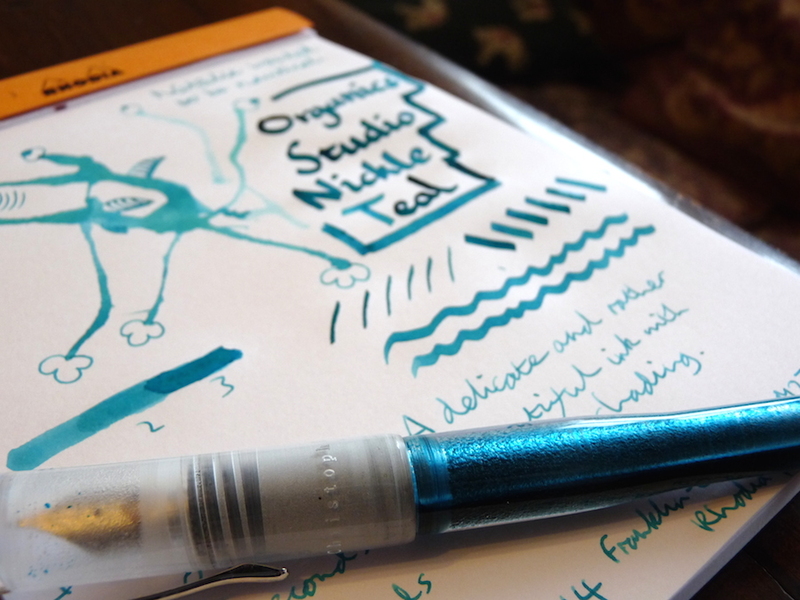 Organics Studio Nickel Teal ink review – Pens! Paper! Pencils! 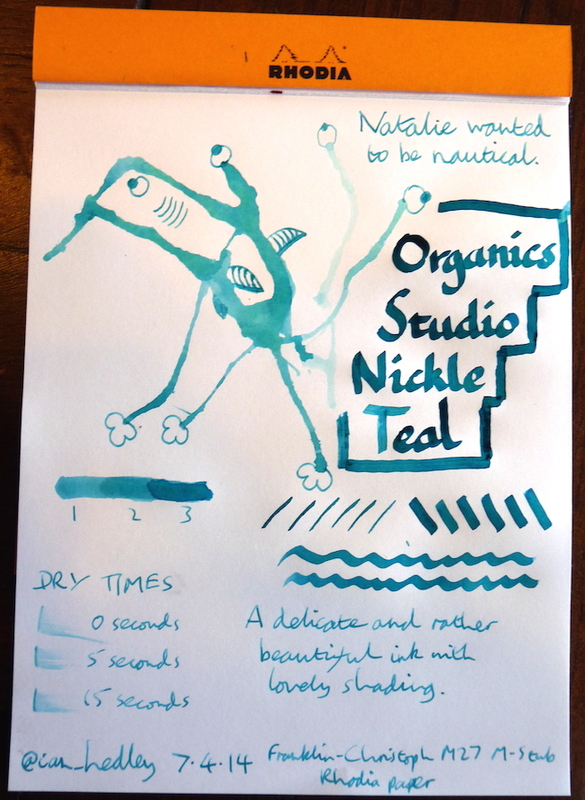 This is a very subtle and delicate pale turquoise-y ink. It may get lost with a fine nib but it is beautiful with something broader. It has good shading and is very pretty. Here I am doodling the Inkling. I misspelled ‘nickel’ because I am an idiot. Organics Studio inks are lovely inks and good value. what kind of dip pen are you using? “Here I am doodling the Inkling. I misspelled ‘nickel’ because I am an idiot.” LOL!! You’re toof funny. This happens to me ALL the time during reviews. I misspell the simplest words… like gel. I have written “Jel” so many times… sigh. Great review. I’m crazy about this colour! Thanks Azizah. I have another interesting mistake coming up in Monday’s pen review! Pretty color ink. Love the shading! Thanks for sharing. Thanks Winnie. It’s a lovely colour isn’t it.